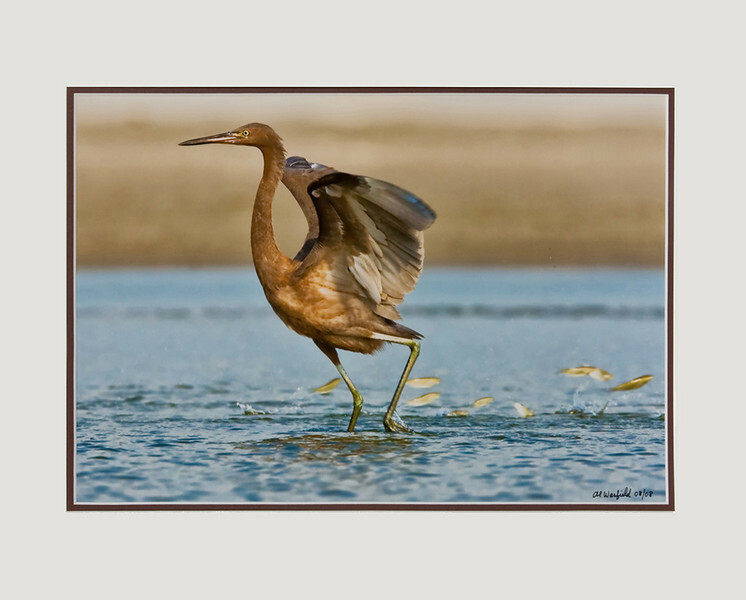 This first year Reddish Egret was the only one on Topsail Beach in August 2008. Al photographed it using a 600 mm telephoto lens with a 2X Extender while small fish jumped out of the water in response to the bird's antics. The image is offered as a custom 12 x 18 inch Giclée print in a 18x24 inch Palm Beach White mat with a 1/4" sepia inner mat. This piece is priced at $120 including shipping. For a different size or configuration, send email to Allindaphoto@Comcast.net.